It's that time again, in the same vein as the Galaxie's edge thread, we need a dedicated construction thread. This thread is NOT meant to discuss whether Star Wars Marvel Land has a place in Disneyland DCA, the loss of Bugs land, your thoughts on the direction of DCA, your undying eulogy of love for Heimlich's Choo-Choo Train or again your hatred of Mission breakout. Please instead see Upcoming Marvel Land, Bye Bye Bugsland, Mission Breakout Review Thread for excellent ongoing discussion of those topics. Expect the land to initially be headlined by Mission Breakout. Edit Addition: This is a really good (BRIEF) to read thread to catch up on some of the internal logistics of how Marvel is being handled between various resorts. There is a consistent push towards NO clones. 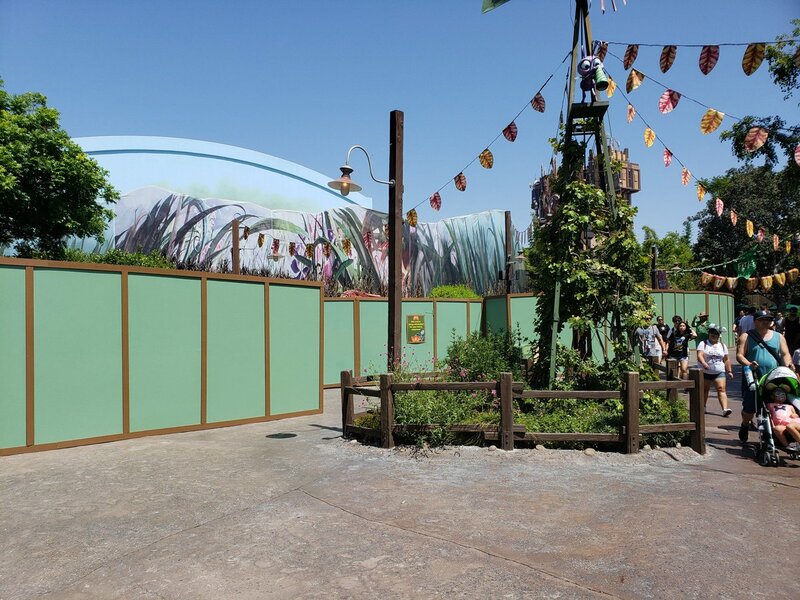 Construction walls are officially up around the Bugsland Theatre. The Rest of Bugsland closes Sept 4th. There’s two competing rumors of either a 3D Movie or an Ant-Man/Wasp omnimover shooter ride going in the Bugs Theater. Neither sounds appealing to me. Using Ant-Man means some props from Bugsland can be reused. Is this related to the rumor that BLAB would be relocated to DCA and re-themed to Marvel (like HKDL)? I believe this to be a fan-made rumour. Usually these things arise from people trying to extrapolate what other parks have or are doing. However, I don't think a credible source who has known has ever stated this to be the case. Much like the Iron Man Experience rumours. Internally all evidence points to Disney wanting to avoid clones and build a Marvel theme park Universe with some internal logic and storylines that technically carry through to multiple resorts. I have a feeling this was a Rohde-ism concession. Sort of like S.E.A. Apparently Bob Chapek actually does seem to also like that idea of having an overarching narrative or park universe carried between multiple parks. Indeed, it does look like every resort is getting a unique Marvel presence. Although it seems like an indoor coaster may eventually be a shared feature among the different areas. Makes sense, as the Marvel IP is particularly well-suited for a coaster. Disney’s last 3D movie made for the parks was 13 years ago, I don’t think they’re going to make a new one. What about an Avengers show like they have in DLP. This seems like an easy way to get Marvel into the parks with minimal effort before the E tickets arrive. Include some interactive meet and greets at this point too. Not ideal but I could see this happening. Wasn't the point of "Summer of Heroes" to get Marvel integrated into the park? Didn't really seem to be a huge hit. Also, I thought I remembered a rumor that there was going to be a Marvel show replacing Disney Jr. I guess that went nowhere. It might have been a hit with 4 year olds and APs since to please them it seems all you have to do is slap junk together. But did it represent the Marvel funny book universe well? Did it have people crapping their pants with joy like the Universal Spider-Man ride would? No. I guess that means that every one else's Tower of Terrors are safe and we lost that lottery. They don't need another shooting game. They have enough to make guests happy. Ridiculous they didn't just give it to Paris. 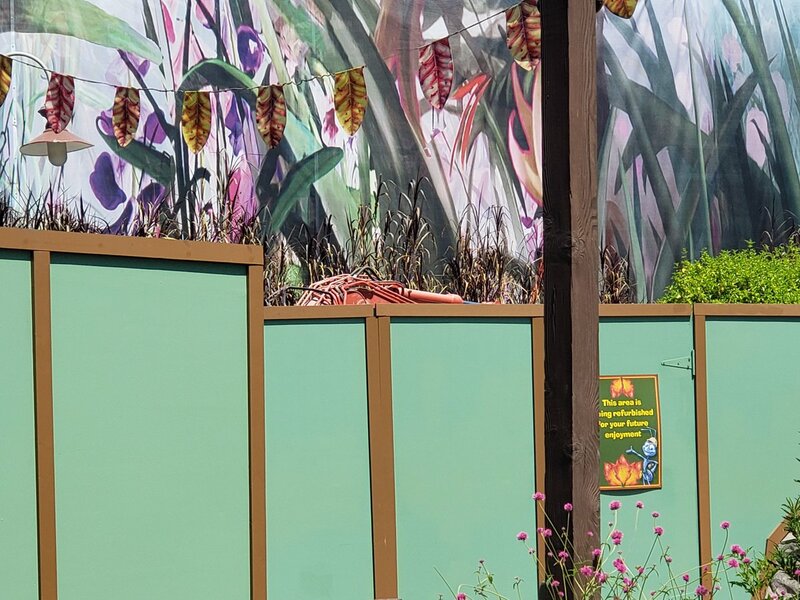 That park's been historically trash and now they're getting their own Marvel land, too. From what I understand it doesn't have much to do with Rohde, but rather Marvel, who have some political clout over how their characters are used at the parks. They want unique attractions, and so far, they're getting them. Unique from the other parks right? Because there is nothing unique about “overlaying” TOT. Mission: Breakout is not an overlay. Lol. I also call it an overlay all the time. But to be fair if we go by the actual definition it would not be. As that would imply they could easily turn it back into TOT, which they cannot... unfortunately. Disney has owned Marvel since 2009. A decade later there is one overlay ride, Mission: BREAKOUT. And a whole lot of foot dragging and delays. But my favorite part is year after year of non-announcement announcements where snake oil salesmen like Erin Glover get paid to belch up meaningless stuff like "Highly anticipated new experiences at Disneyland Resort will soon invite guests to become part of a bigger universe filled with epic heroes and adventures." And then that sentence is followed up with absolutely no real information, year after year. At some point they are going to have to actually stop with the Disney Parks Blog posts and do something. Walt once said "The way to get started is to quit talking and begin doing." I have a hunch that if Walt returned from the dead he would have very little use for the Disney Parks Blog payroll. All they would really have to do to turn M:BO back into ToT would be to throw all that scrap metal into a few dumpsters and remove the Planet Hollywood props from the queue. The rest is basically is paint and set dressing. Unfortunately it’s more likely that they’ll just demolish the whole thing. Ok let’s agree to call it an extensive overlay. Lol.